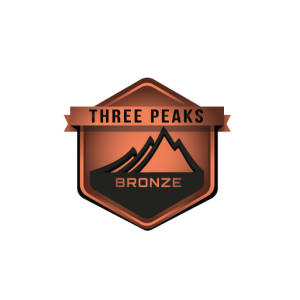 The Bronze package is perfect for those on a budget wanting to attempt the National Three Peaks Challenge! Completing the Three Peaks Challenge in 24 hours is no mean feat; adequate preparation and a solid gameplan are key. This is what we do! Why not let us help prepare you and organise your support so all you have to do is the walking! We’ll collect you from Glasgow before your event and transport you to the start in Fort William. We start with a comprehensive safety brief before starting your challenge with an ascent of Ben Nevis. When you arrive back at base camp we’ll jump on the minibus for the 6 hour drive to Wasdale Head, to climb Scafell Pike. The drive to Snowdonia takes around four and a half hours and on arrival at Pen Y Pass you’ll head straight up the Pyg Track to the summit of Snowdon and down the Llanberis Path to the finish where we’ll present your team with certificates to celebrate your achievement! Once you’ve had a chance to freshen up we’ll transport you to Llandudno Junction Railway station for your journey home. This can be organised as a bespoke package and the itinerary detailed is for guidance only. We can create a Premium Plus Three Peaks Challenge to suit your exact requirements. Add-ons are available to enhance your experience. This option is perfect for corporate groups!